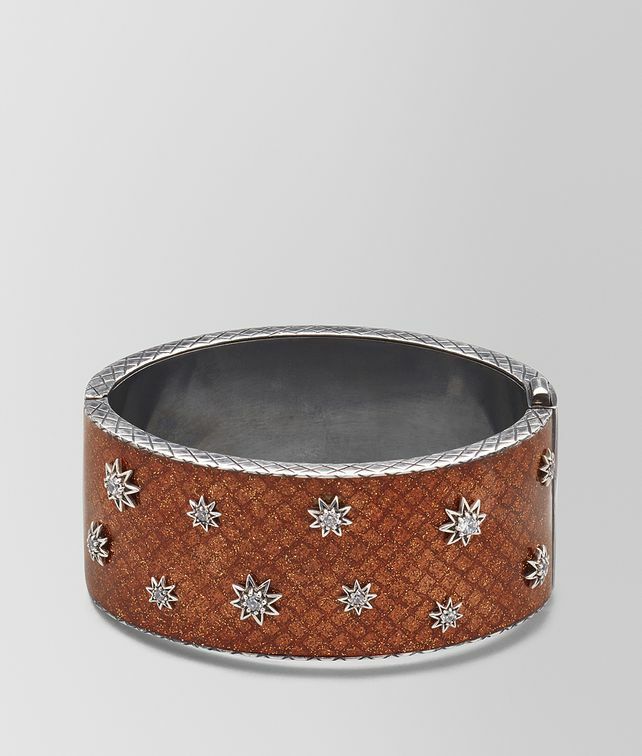 This eye-catching cuff is handcrafted from sterling silver and detailed with a myriad of dainty silver stars, each one set with a cubic zirconia stone at the centre. The translucent enamel highlights the underlying intrecciato motif and adds a rich, glittery finish. The bracelet is designed with a comfortable oval shape and concealed button closure.